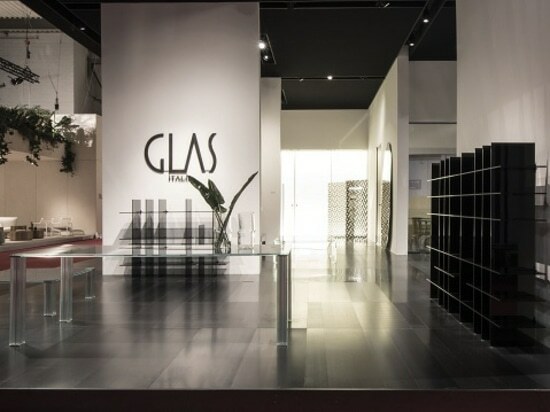 News & Trends> Trade Shows & Events > Decoration > GLAS ITALIA > GLAS ITALIA 2018 collection: the secrets of glass between innovation and made in Italy. GLAS ITALIA 2018 collection: the secrets of glass between innovation and made in Italy. 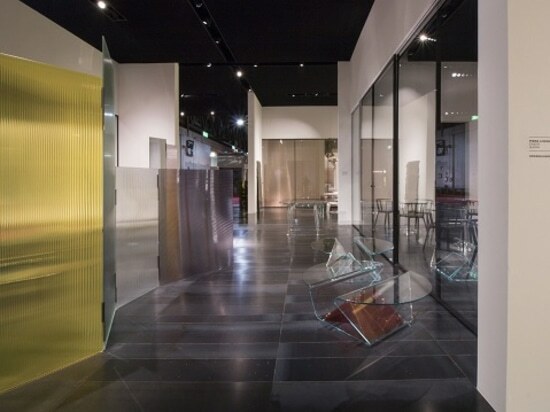 In the collection presented at the Salone del Mobile 2018 all the passion, the creativity and experience gained in processing a noble, precious and sophisticated material like crystal. The charm of the new products emerges in all its splendor through geometric lines and shapes, delicate reflections and surprising shades. The new finishes and details that enhance the decorative appearance of the products also inspire admiration. 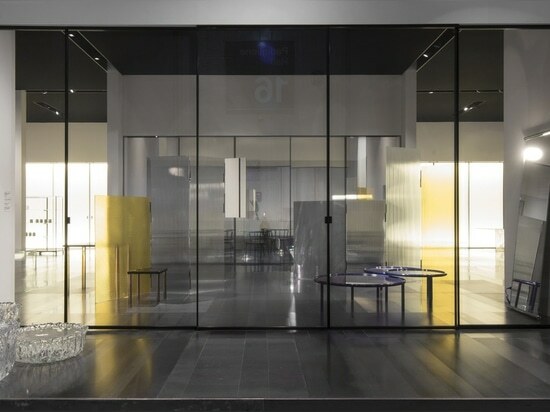 These include a smooth and transparent "wired glass" that incorporates a metal mesh and the striking concrete, stone, marble and wood finishes used in the articulated Aladin and Sherazade door and partition system. 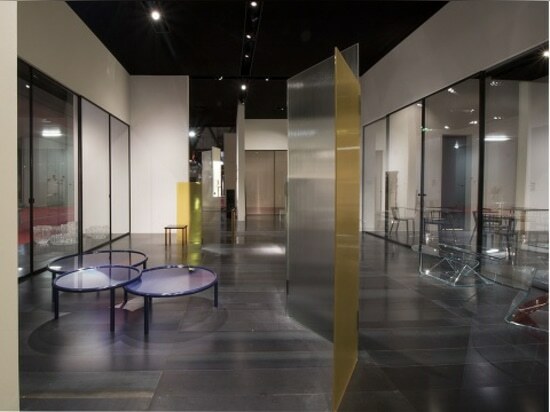 It is also a source of pride for the company that two Master of Design such as Mario Bellini and Jean Nouvel have joined the team of internationally renowned designers who signed the 2018 collection: Edward Barber & Jay Osgerby, Ronan & Erwan Bouroullec, Piero Lissoni, Patricia Urquiola and Tokujin Yoshioka. 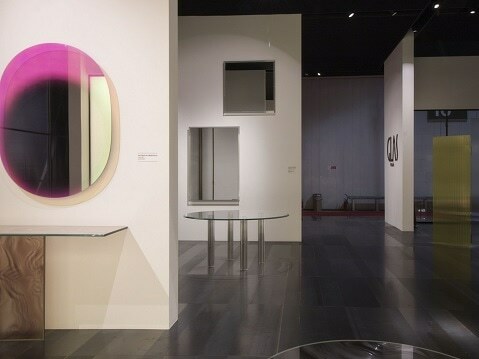 PLISSÉ designed by Mario Bellini is a functional curved crystal coffee table with a light appearance and soft shapes. The central magazine holder element can be in clear glass or transparent ruby red. HYPERtable: both in the mirror version and in the transparent extralight glass version, the HYPERtable low table by Mario Bellini features different bevels variable in inclinations and lengths. The result is a magical set of prisms, with infinite facets and surprising reflections. CRYPTÉE: the high table and low table CRYPTÉE designed by Jean Nouvel have a printed knurled glass top that creates an exceptional effect of brightness and light refraction. AMI-VERRE: bookcase in smoked glass or dark gray paste black glass. An architecture of vertical and horizontal panels interlocked connected that can be used in different configurations. Design by Jean Nouvel. 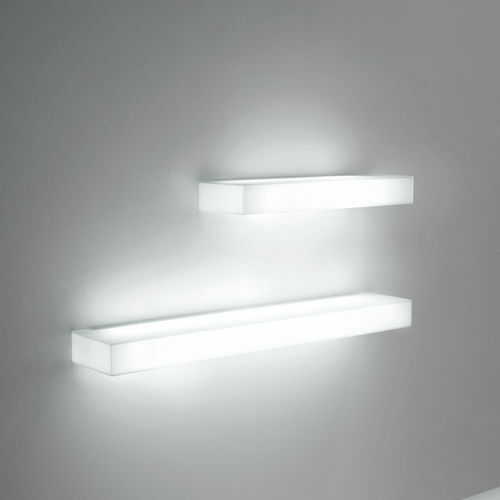 ECCO is the new versatile floor mirror with an LED light designed by Edward Barber & Jay Osgerby. The supporting bars are in yellow, green or black colored rubber, or in polished chromed metal with exposed spiral cable in colors coordinated with the supporting bars. 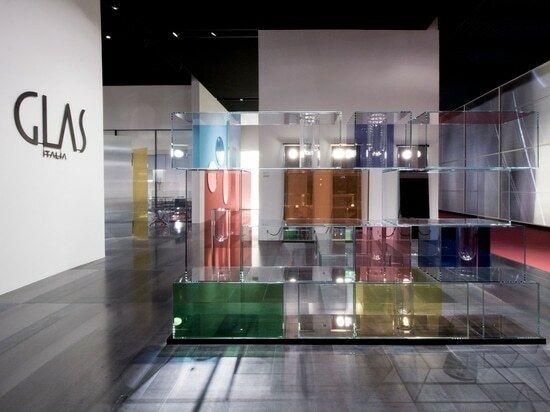 RAYURES, designed by Ronan & Erwan Bouroullec, is a modular hinged folding panels made of Flutes glass, tempered and laminated in a wide range of colors. The versatility of these panels allows to create structures that shield, separate and at the same time create islands of intimacy and privacy, filtering and returning the light in a poetic and surreal way. 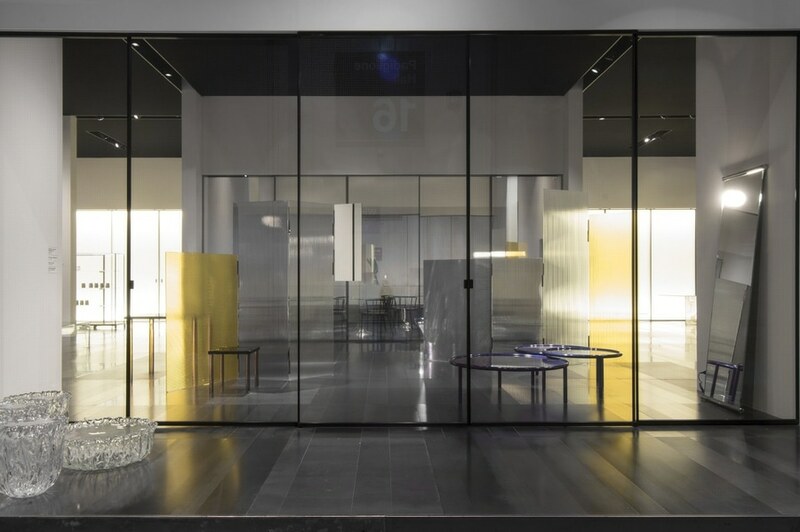 GRID: the “wired glass”, perfectly smooth and transparent with a squared wire mesh inside, is the protagonist in the rectangular or square GRID low table designed by Piero Lissoni. 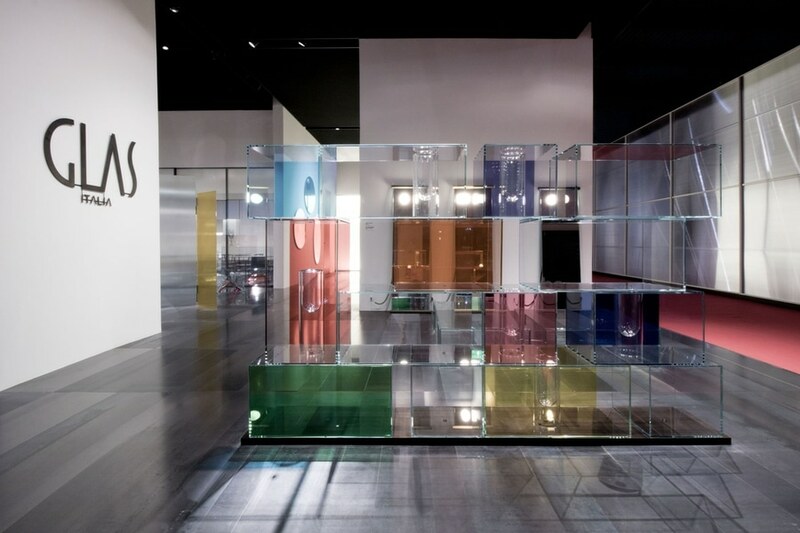 L.A: SUNSET: Laminated glass in opal finish for the round tables L.A. SUNSET designed by Patricia Urquiola: a palette of colors that fade and merge together like gas or fluids, concealing the solid state of material. The structure is in pearled night blue painted metal tube. STARLIGHT Glass Table: round, square or rectangular high table in transparent extralight glass, designed by Tokujin Yoshioka.The legs are made of silver-backed crystal profiles, glued together to form star-shaped cylinders, with incredible brilliance and sculptural appearance. STARLIGHT Mirror : a very precious frame for STARLIGHT Mirror designed by Tokujin Yoshioka, made with molded and silvered crystal profiles. The mirror remains detached a few centimeters from the wall, to emphasize the brightness and the preciousness of the object. 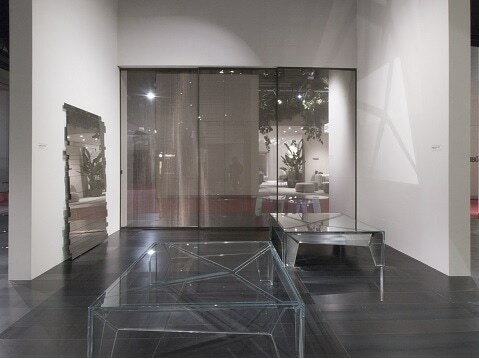 The collections ALADIN and SHERAZADE - doors and partitions designed by Piero Lissoni - are more complex and complete now. Over 150 variety for the glass panels - including the new ‘armato’ (wired) glass - to which are added new finishes ‘Stoneware’ with different texture: concrete, stone, marble and precious veneer woods.